Recent Arrival!Silver 2003 Honda Accord LX 2.4 2.4L I4 DOHC i-VTEC 16V 5-Speed Automatic with Overdrive FWDOdometer is 85834 miles below market average! 24/33 City/Highway MPG** Schaller now has TWO Used Car Locations: New Britain and Berlin. Please call 860-826-2023 to Confirm this Vehicle's Location ** Schaller Auto Group is Family Owned and Operated for Over 60 Years, and is known for Selling Top Quality Used Vehicles and Standing behind them After the Sale! All of our Pre-Owned Vehicles go through our Comprehensive 125 Point Quality Inspection. If it doesn't Meet our Standards, we Don't Sell It! All of our Pre-Owned Vehicles come with a FREE Carfax Vehicle History Report! Additionally, select Schaller Certified Pre-Owned Vehicles come with a 6 month 6,000 Mile Power-Train Guarantee AT NO ADDITIONAL CHARGE! Ask a Sales Associate for Details. Recent Arrival!Ingot Silver Metallic 2011 Ford Fusion SEL 3.0L V6 Flex Fuel 6-Speed Automatic FWDPriced below KBB Fair Purchase Price! 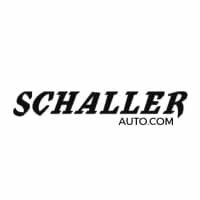 20/28 City/Highway MPGAwards:* 2011 IIHS Top Safety Pick * 2011 KBB.com Brand Image Awards** Schaller now has TWO Used Car Locations: New Britain and Berlin. Please call 860-826-2023 to Confirm this Vehicle's Location ** Schaller Auto Group is Family Owned and Operated for Over 60 Years, and is known for Selling Top Quality Used Vehicles and Standing behind them After the Sale! All of our Pre-Owned Vehicles go through our Comprehensive 125 Point Quality Inspection. If it doesn't Meet our Standards, we Don't Sell It! All of our Pre-Owned Vehicles come with a FREE Carfax Vehicle History Report! Additionally, select Schaller Certified Pre-Owned Vehicles come with a 6 month 6,000 Mile Power-Train Guarantee AT NO ADDITIONAL CHARGE! Ask a Sales Associate for Details. Recent Arrival!Impulse Red 2003 Toyota RAV4 Base 2.0L I4 SMPI DOHC 4-Speed Automatic AWDOdometer is 76349 miles below market average! 22/27 City/Highway MPG** Schaller now has TWO Used Car Locations: New Britain and Berlin. Please call 860-826-2023 to Confirm this Vehicle's Location ** Schaller Auto Group is Family Owned and Operated for Over 60 Years, and is known for Selling Top Quality Used Vehicles and Standing behind them After the Sale! All of our Pre-Owned Vehicles go through our Comprehensive 125 Point Quality Inspection. If it doesn't Meet our Standards, we Don't Sell It! All of our Pre-Owned Vehicles come with a FREE Carfax Vehicle History Report! Additionally, select Schaller Certified Pre-Owned Vehicles come with a 6 month 6,000 Mile Power-Train Guarantee AT NO ADDITIONAL CHARGE! Ask a Sales Associate for Details. Willow Green 2007 Subaru Outback 2.5i 2.5L H4 SMPI SOHC 5-Speed Manual with Overdrive AWDOdometer is 32417 miles below market average! 23/28 City/Highway MPG** Schaller now has TWO Used Car Locations: New Britain and Berlin. Please call 860-826-2023 to Confirm this Vehicle's Location ** Schaller Auto Group is Family Owned and Operated for Over 60 Years, and is known for Selling Top Quality Used Vehicles and Standing behind them After the Sale! All of our Pre-Owned Vehicles go through our Comprehensive 125 Point Quality Inspection. If it doesn't Meet our Standards, we Don't Sell It! All of our Pre-Owned Vehicles come with a FREE Carfax Vehicle History Report! Additionally, select Schaller Certified Pre-Owned Vehicles come with a 6 month 6,000 Mile Power-Train Guarantee AT NO ADDITIONAL CHARGE! Ask a Sales Associate for Details. Black 2008 Honda CR-V EX 2.4L I4 DOHC 16V i-VTEC 5-Speed Automatic AWD20/26 City/Highway MPGAwards:* 2008 KBB.com Brand Image Awards2016 Kelley Blue Book Brand Image Awards are based on the Brand Watch(tm) study from Kelley Blue Book Market Intelligence. Award calculated among non-luxury shoppers. For more information, visit www.kbb.com. Kelley Blue Book is a registered trademark of Kelley Blue Book Co., Inc.** Schaller now has TWO Used Car Locations: New Britain and Berlin. Please call 860-826-2023 to Confirm this Vehicle's Location ** Schaller Auto Group is Family Owned and Operated for Over 60 Years, and is known for Selling Top Quality Used Vehicles and Standing behind them After the Sale! All of our Pre-Owned Vehicles go through our Comprehensive 125 Point Quality Inspection. If it doesn't Meet our Standards, we Don't Sell It! All of our Pre-Owned Vehicles come with a FREE Carfax Vehicle History Report! Additionally, select Schaller Certified Pre-Owned Vehicles come with a 6 month 6,000 Mile Power-Train Guarantee AT NO ADDITIONAL CHARGE! Ask a Sales Associate for Details. Diamond Gray Metallic 2007 Subaru Legacy 2.5GT Limited 2.5L H4 SMPI DOHC 5-Speed Automatic with Overdrive AWDOdometer is 37676 miles below market average! ** Schaller now has TWO Used Car Locations: New Britain and Berlin. Please call 860-826-2023 to Confirm this Vehicle's Location ** Schaller Auto Group is Family Owned and Operated for Over 60 Years, and is known for Selling Top Quality Used Vehicles and Standing behind them After the Sale! All of our Pre-Owned Vehicles go through our Comprehensive 125 Point Quality Inspection. If it doesn't Meet our Standards, we Don't Sell It! All of our Pre-Owned Vehicles come with a FREE Carfax Vehicle History Report! Additionally, select Schaller Certified Pre-Owned Vehicles come with a 6 month 6,000 Mile Power-Train Guarantee AT NO ADDITIONAL CHARGE! Ask a Sales Associate for Details. Recent Arrival!Red 2008 Honda CR-V EX 2.4L I4 DOHC 16V i-VTEC 5-Speed Automatic AWDOdometer is 23179 miles below market average! 20/26 City/Highway MPGAwards:* 2008 KBB.com Brand Image Awards2016 Kelley Blue Book Brand Image Awards are based on the Brand Watch(tm) study from Kelley Blue Book Market Intelligence. Award calculated among non-luxury shoppers. For more information, visit www.kbb.com. Kelley Blue Book is a registered trademark of Kelley Blue Book Co., Inc.** Schaller now has TWO Used Car Locations: New Britain and Berlin. Please call 860-826-2023 to Confirm this Vehicle's Location ** Schaller Auto Group is Family Owned and Operated for Over 60 Years, and is known for Selling Top Quality Used Vehicles and Standing behind them After the Sale! All of our Pre-Owned Vehicles go through our Comprehensive 125 Point Quality Inspection. If it doesn't Meet our Standards, we Don't Sell It! All of our Pre-Owned Vehicles come with a FREE Carfax Vehicle History Report! Additionally, select Schaller Certified Pre-Owned Vehicles come with a 6 month 6,000 Mile Power-Train Guarantee AT NO ADDITIONAL CHARGE! Ask a Sales Associate for Details. REDUCED OR OUR HUGE SALE EVENT. IF YOU NEED SPACE...DO NOT MISS THIS VALUE PRICED QUEST SV THAT FITS THE WHOLE FAMILY AND THEN SOME. FULLY SERVICED & COMPLETELY DETAILED, Quest 3.5 SV, 4D Passenger Van, 3.5L 6-Cylinder DOHC, CVT with Xtronic, FWD, Brilliant Silver, Gray w/Cloth Seat Trim.Brilliant Silver 2015 Nissan Quest 3.5 SV 3.5L 6-Cylinder DOHC CVT with Xtronic FWD27/20 Highway/City MPG**Schaller now has TWO used car locations: New Britain and Berlin. Please call 860-826-2023 to confirm this vehicle's location** Family owned and operated for over 60 years, Schaller Auto Group is known for selling top quality used vehicles and standing behind them after the sale! All of our vehicles go through our 125 point quality inspection. If it doesn't meet our standards, we don't sell it! All of our Pre-Owned vehicles come with a FREE Carfax Vehicle History Report! Additionally, select Schaller Certified Pre-Owned Vehicles come with a 6 month 6,000 mile power-train guarantee AT NO ADDITIONAL CHARGE! Ask a sales associate for details. Red 2008 Honda CR-V EX 2.4L I4 DOHC 16V i-VTEC 5-Speed Automatic AWDOdometer is 33444 miles below market average! 20/26 City/Highway MPGAwards:* 2008 KBB.com Brand Image Awards2016 Kelley Blue Book Brand Image Awards are based on the Brand Watch(tm) study from Kelley Blue Book Market Intelligence. Award calculated among non-luxury shoppers. For more information, visit www.kbb.com. Kelley Blue Book is a registered trademark of Kelley Blue Book Co., Inc.** Schaller now has TWO Used Car Locations: New Britain and Berlin. Please call 860-826-2023 to Confirm this Vehicle's Location ** Schaller Auto Group is Family Owned and Operated for Over 60 Years, and is known for Selling Top Quality Used Vehicles and Standing behind them After the Sale! All of our Pre-Owned Vehicles go through our Comprehensive 125 Point Quality Inspection. If it doesn't Meet our Standards, we Don't Sell It! All of our Pre-Owned Vehicles come with a FREE Carfax Vehicle History Report! Additionally, select Schaller Certified Pre-Owned Vehicles come with a 6 month 6,000 Mile Power-Train Guarantee AT NO ADDITIONAL CHARGE! Ask a Sales Associate for Details. Recent Arrival!Aspen White 2014 Nissan Sentra SR 1.8L 4-Cylinder DOHC 16V CVT with Xtronic FWD30/39 City/Highway MPG** Schaller now has TWO Used Car Locations: New Britain and Berlin. Please call 860-826-2023 to Confirm this Vehicle's Location ** Schaller Auto Group is Family Owned and Operated for Over 60 Years, and is known for Selling Top Quality Used Vehicles and Standing behind them After the Sale! All of our Pre-Owned Vehicles go through our Comprehensive 125 Point Quality Inspection. If it doesn't Meet our Standards, we Don't Sell It! All of our Pre-Owned Vehicles come with a FREE Carfax Vehicle History Report! Additionally, select Schaller Certified Pre-Owned Vehicles come with a 6 month 6,000 Mile Power-Train Guarantee AT NO ADDITIONAL CHARGE! Ask a Sales Associate for Details. Recent Arrival!Red 2012 Honda Insight EX 1.3L I4 SOHC i-VTEC CVT FWD41/44 City/Highway MPGAwards:* 2012 IIHS Top Safety Pick * 2012 KBB.com Total Cost of Ownership Awards * 2012 KBB.com Brand Image Awards2016 Kelley Blue Book Brand Image Awards are based on the Brand Watch(tm) study from Kelley Blue Book Market Intelligence. Award calculated among non-luxury shoppers. For more information, visit www.kbb.com. Kelley Blue Book is a registered trademark of Kelley Blue Book Co., Inc.** Schaller now has TWO Used Car Locations: New Britain and Berlin. Please call 860-826-2023 to Confirm this Vehicle's Location ** Schaller Auto Group is Family Owned and Operated for Over 60 Years, and is known for Selling Top Quality Used Vehicles and Standing behind them After the Sale! All of our Pre-Owned Vehicles go through our Comprehensive 125 Point Quality Inspection. If it doesn't Meet our Standards, we Don't Sell It! All of our Pre-Owned Vehicles come with a FREE Carfax Vehicle History Report! Additionally, select Schaller Certified Pre-Owned Vehicles come with a 6 month 6,000 Mile Power-Train Guarantee AT NO ADDITIONAL CHARGE! Ask a Sales Associate for Details. Graphite Blue 2013 Nissan Rogue S 2.5L I4 DOHC 16V CVT AWDOdometer is 19076 miles below market average! 22/27 City/Highway MPG** Schaller now has TWO Used Car Locations: New Britain and Berlin. Please call 860-826-2023 to Confirm this Vehicle's Location ** Schaller Auto Group is Family Owned and Operated for Over 60 Years, and is known for Selling Top Quality Used Vehicles and Standing behind them After the Sale! All of our Pre-Owned Vehicles go through our Comprehensive 125 Point Quality Inspection. If it doesn't Meet our Standards, we Don't Sell It! All of our Pre-Owned Vehicles come with a FREE Carfax Vehicle History Report! Additionally, select Schaller Certified Pre-Owned Vehicles come with a 6 month 6,000 Mile Power-Train Guarantee AT NO ADDITIONAL CHARGE! Ask a Sales Associate for Details. Super clean premium model with all-weather package. Heated seats and mirrors. Very well equipped and how about 36 MPG with all-wheel drive!Dark Gray Metallic 2013 Subaru Impreza 2.0i Premium 2.0L 4-Cylinder SMPI DOHC 16V CVT Lineartronic AWDOdometer is 14808 miles below market average! 27/36 City/Highway MPGAwards:* 2013 IIHS Top Safety Pick** Schaller now has TWO Used Car Locations: New Britain and Berlin. Please call 860-826-2023 to Confirm this Vehicle's Location ** Schaller Auto Group is Family Owned and Operated for Over 60 Years, and is known for Selling Top Quality Used Vehicles and Standing behind them After the Sale! All of our Pre-Owned Vehicles go through our Comprehensive 125 Point Quality Inspection. If it doesn't Meet our Standards, we Don't Sell It! All of our Pre-Owned Vehicles come with a FREE Carfax Vehicle History Report! Additionally, select Schaller Certified Pre-Owned Vehicles come with a 6 month 6,000 Mile Power-Train Guarantee AT NO ADDITIONAL CHARGE! Ask a Sales Associate for Details.